Orange and Barclaycard have announced a partnership to finally make contactless payments a reality for the UK public. The citric network has been talking about SIM-based near field communications technology (NFC) for a while, and is now popping it in the Samsung Tocco Lite Quick Tap edition. This means that in places like Pret a Manger, EAT, Little Chef, Wembley Arena, Subway, Wilkinsons and McDonalds you can simply whip out the ageing handset and pay for any item under £15 using the device. Users can transfer up to £100 onto the Quick Tap app on the phone - although users will need to have a Barclaycard, Barclays debit card or Orange Credit Card to make the payments across, so still ruling out a large number of UK shoppers. 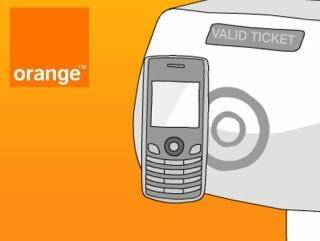 Orange has promised the technology will come to a wider range of (hopefully better) handsets, which is likely dependent on developing apps securely for further platforms, in the near future as it looks to make contactless payments a reality for all.